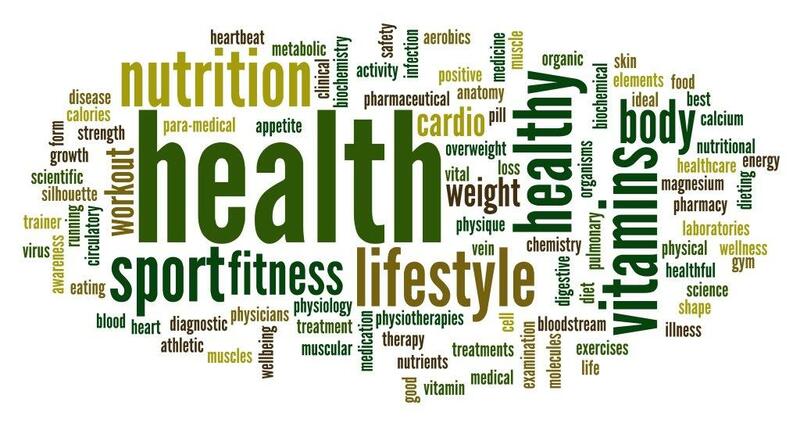 We are constantly informed by various media outlets, institutions and individuals what we should or shouldn’t be doing to stay healthy and live long, prosperous lives. But what actually is health? More importantly, what is it to you? Perhaps being healthy means being free of disease. That’s a good place to start. So how do you ensure you are building and maintaining a disease-free body? By avoiding the most evident health-robbers, such as cigarettes, alcohol and processed sugar, you are setting the foundations for a health-promoting lifestyle. But how do you protect your body against those nasties that you just can’t avoid? Antioxidants are little powerhouses of nutritional defence that fight against free radical damage from environmental pollution, toxins and stress. They are found in all fresh fruits and vegetables, especially in the dark, rich coloured berries, red onions and leafy greens. So take heed with the ‘5 a Day’ message, which in the UK allows canned fruit and highly processed juices, and aim for at least five portions of fresh veg, with an extra two antioxidant-rich fruit portions. This is more in line with Australian public health guidance, and much better for your long term health. You may feel physically fighting-fit if you play sports, lift weights or practice any form of exercise regularly. But how do you look after your mind? Mindfulness meditation advocates being present and giving your full attention to what you are experiencing right now. It is a powerful tool to enjoying and appreciating each moment, and prepares you to better deal with stressful situations that may arise. Perhaps health to you means feeling ‘good’, as opposed to ‘not feeling 100%’. But this raises yet another question; What does 100% feel like? So many of us adapt to the stresses and strains of modern living by accepting those niggles that prevent us from experiencing true health. A pinching tension in the shoulders; a dull ache across the forehead; feeling ‘down’ and ‘grey’ without being able to pinpoint why; that persistent cough that just won’t go away, or a constantly runny nose that in the winter is put down to ‘a cold’, and in the summer becomes ‘allergies’. What would it feel like to be free of all these background demons? To wake up each morning feeling refreshed and ready to face the day ahead with a huge store of mental and physical energy that doesn’t flag by mid-morning coffee time? From a naturopathic approach, ‘health’ means maintaining the delicate balance (homeostasis) of the body’s internal environment to ensure it is functioning optimally, from a cellular level all the way up to a systemic and whole body level. A naturopath would take a holistic approach when trying to bring the body back into balance after illness, or to maintain a healthy state. They would look at the whole person; their lifestyle, diet, past medical history and family health patterns. Step by step, a picture emerges that can be reworked and edited into something more vibrant and longer lasting than previous short-term attempts at health improvement. Optimal health encompasses the best physiological functioning of the body, as well as our psychological and emotional wellbeing, from early development right the way through to natural aging. This, my friends, is what real health should look like. It should be abundant, free-flowing and unstoppable. It should power everything you do, from personal goals, professional development and daily tasks, to kicking back and enjoying the simple things in life. Health should be our number one priority which fuels the lives we lead and the people we become. Let’s give our health some attention. Check in with Yogiz regularly for news, recipes, videos and tips on all things healthy!